I use healing herbs for wounds that don’t require professional care. Today we’ll focus on herbs for scrapes, bruises, splinters, sprains, bug bites, and more. I’m an active person, which means I have to deal with occasional injuries. I could go to the doctor and get prescriptions, but why not treat my injuries with herbs? I’ll show you which herbs are best for each type of wound. I’ll also be focusing on herbs you can find in your own home or yard! While there are many more injuries than what is listed above, today we’re dealing with healing herbs for wounds of the most common, non-serious type. With a scrape, there may be skin abrasions and bleeding. The first step is to clean the area well. Run cool, clear water over the scrape to get rid of any blood or debris. Once it is clean, then pat dry. Don’t rub the wound as this may irritate the area. Then apply an antibacterial balm or salve. (Learn how to make a Healing Salve here.) 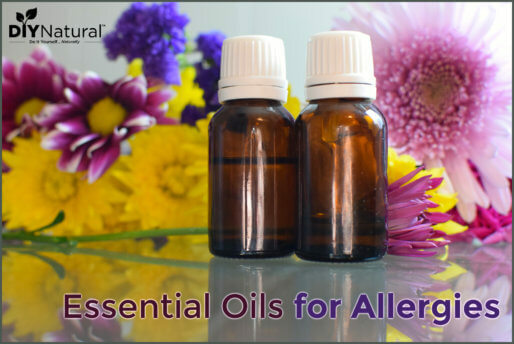 Calendula and Lavender are good choices as they are naturally antiseptic and can help to heal the skin. Apply a loose bandage if necessary. A cut can be as thin as a sheet of paper. Deep cuts require medical attention, but I use herbs for shallow cuts. First, as above, clean the wound. If the wound is deeper than a scrape, bacteria can get inside. One way to fight this is to flush the wound with hydrogen peroxide. Peroxide will bubble and force out any bacteria that may be deep inside. Once the cut is flushed out, pat it dry. Then apply some tea tree oil essential oil. Although it can be used “neat,” meaning it doesn’t need to be diluted, some people experience stinging with tea tree essential oil. 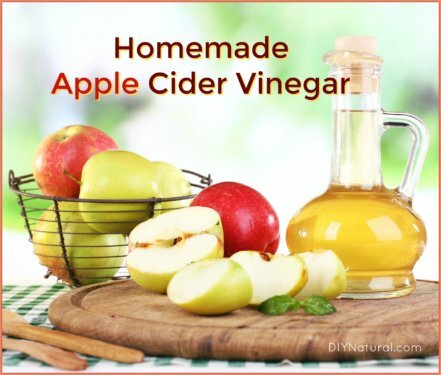 Mix it with some sweet almond or grapeseed oil and apply it to the cut. Tea tree oil can heal from the inside out, sealing the wound inside and healing it there. Apply a bandage if necessary. Also known as “black and blue marks,” bruises are a sign of blood pooling under the surface of the skin from some sort of trauma. The area will typically turn purple with some swelling at first, then turn a greenish-yellow color, then more of a brown before finally fading back to the original skin color. To treat these, you can use a compress, or a poultice. First, finely chop some comfrey leaf, or use a food processor to blend to a paste. Apply this to the bruised area and cover with a warm, damp cloth. The comfrey can get into the bruise and help break up blood under the surface of the skin. Leave on until the compress cools, then repeat if desired. To treat splinters you can make a poultice from plantain. Plantain is a weed that grows in most everyone’s yard that has amazing healing benefits. Macerate the plantain leaf like the comfrey in the note above, and apply it to a bandage. Put the bandage on the wound and leave it on overnight. In the morning, wash it off. The wound should have a bulb of whitish liquid. This is a collection of white blood cells that help to push the splinter out. You should be able to grab on to the splinter with tweezers and pull it out. It if is deep or has fragmented inside the wound, you may need to do this more than once. You can also make a poultice from Activated Charcoal and Plantain. This is known as drawing salve because it can help draw out things like splinters and stingers. Sprains and strains are trauma to an area caused by injury. The most common sprains are in the ankles and wrists. Sprains may feel like a broken bone, so you may need to get x-rays to be sure the area is clear of breaks. For either one, you can make a poultice of comfrey leaf like with the bruises. I use a whole comfrey leaf and wrap it around the affected area. Then apply a warm, damp cloth to help the compounds in the comfrey leaf to penetrate the skin. Comfrey can be prickly, so you may want a cloth between the leaf and your skin. Comfrey is also known as “Bone Knit,” meaning that when used this way, it can help mend broken bones. One of the noted herbalists in my area sprained his ankle a few years ago and attributes comfrey to helping speed the healing process. Depending on where your muscle pain is, it can be treated in a few different ways. Internally, chamomile, fennel, ginger, slippery elm bark, turmeric and willow bark can all be used. You can make a tea or use tinctures of these, depending on which ones you’ll be using. Be aware of what is in each one. For example, if you are aspirin sensitive, you may want to avoid willow bark because it contains compounds similar to aspirin. Additionally, turmeric is more effective when taken with black pepper. This speeds the uptake of turmeric in the body. Another great pain aid is magnesium. While not an herb, magnesium can be used as a muscle relaxant. Soak in a tub with a half a cup of Epsom salt (magnesium sulfate) or use magnesium lotion directly on the affected area. For simple bug bites, such as mosquito, ant and non venomous spiders, you can use herbs like plantain or jewelweed. Both are demulcent, meaning they can be slimy, which makes them soothing and cooling. Plantain will take the itch out of a mosquito bite right away, while jewelweed can be soothing for hours after a bug bite. Apply both directly to the skin after tearing or mashing to release the juice. You can also use Rose of Sharon flowers for bug bites! These are in the mallow family, and mallows contain compounds that are soothing to the skin. NOTE: These are all for non-emergency measures. If you are allergic to bees or have a deep cut or broken bones, seek immediate medical help. 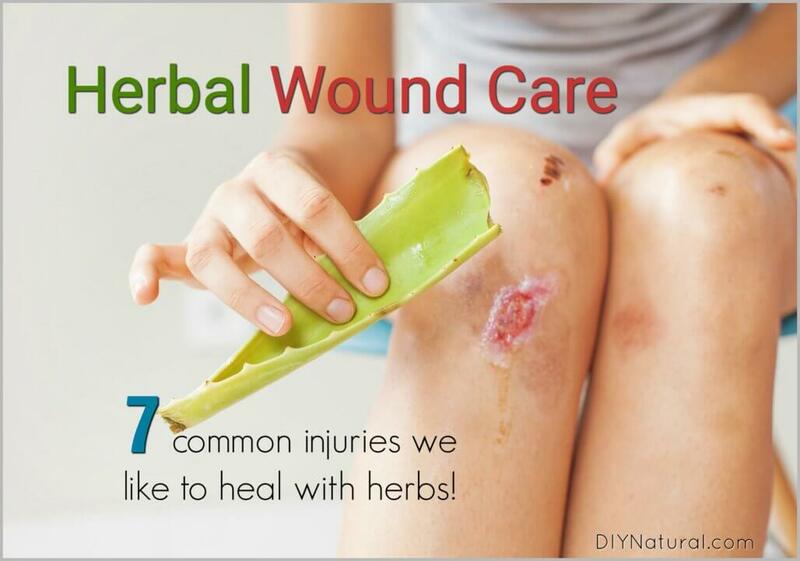 Want to learn more ways to use healing herbs for wounds? Try learning how to make a Natural Herbal Healing Ointment to keep in your natural medicine cabinet. Have you ever used healing herbs for wounds like these? Share your experience with us! For a long time, I have used Witch Hazel for mosquito bites. Works far better than the calamine lotion my mother used way back when. Then again, I don’t get bitten nearly as often as when I was a kid! I so enjoy your emails. 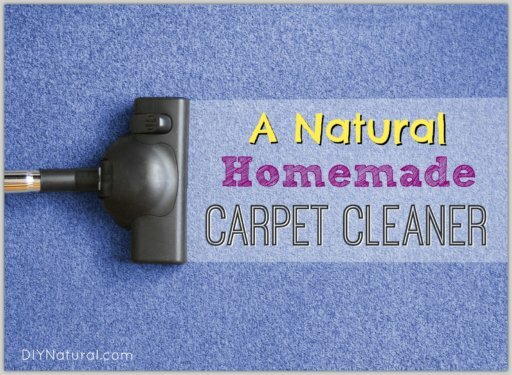 I have become very interested in natural ways of doing things. You always have one or two that really interest me. You always explain very well how to do things. I want to make the shampoo bar. I got stung by a hornet and it took 5 days before I felt normal again.